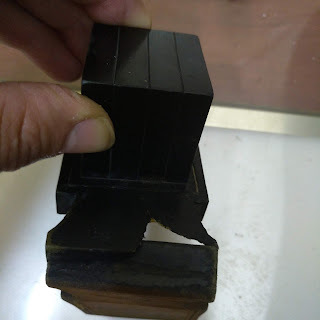 Today I checked a pair of tefillin where the ribuah of the bayis was OK on the top but towards the bottom the bayis got a little wider and swollen (probably from moisture or sweat). When measurimng with a caliper it was like 1.7 out (between orech and rochev). So I used a knife to shave off some of the bayis from both sides. I took off about .5 of a mm from each side, thus bringing the ribuah back to a kosher size. 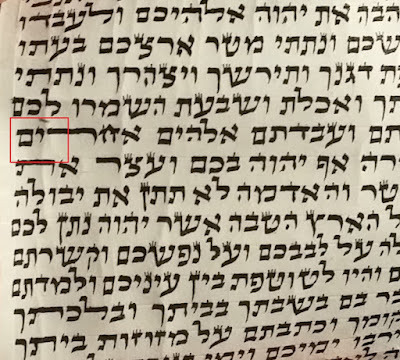 My concern is that I remember once speaking with R' Yossi Altien, (a sofer and batim expert in the US) who told me to be careful when shaving batim as it could open a "fold" and one could unwittingly make a hole. I am no expert on batim, so the big question is,what are the chances of this happening? I lifted the batim to the light after I shaved them before I repainted them. The dull light came through but I did not see any "bright light" indicating a crack or hole. Also when looking at the actual bayis where I shaved, I see some stretch marks and some slight indentation (probably made by the knife) but nothing that looks like it is a crack or hole that would go through the entire wall. Is this enough to guarantee kashrus and allay any concerns of "opening a fold"? i dont think that the batim part is made of folds [or at least they are very small] that you should be worried. the folds are in the titura part. but, i wonder since the batim have started to warp out of shape because of humidity - if your fixing will hold out long. 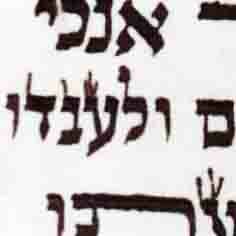 The humidity swallowed in the bayit is still there, and now the leather is thinner and weaker and will warp faster.